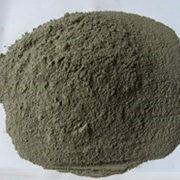 Water Repellent Admixture for Concrete - MUHU (China) Co., Ltd.
MNC-D is a stable dispersion of stearate and other water repellent compounds that is added into ready mixed concrete during mixing. 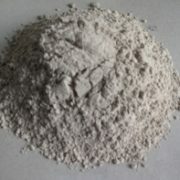 MNC-D is a ready-to-use, factory prepared powder that will simplify handling and eliminate guesswork. 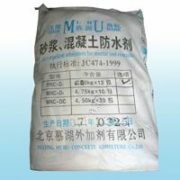 It meets the requirements of the following chemical admixture specifications for concrete: JC474-1999. Architects, engineers, contractors, and other authorities agree that even good quality concretes, mortars, etc. that are properly placed, set or applied then cured, are inherently porous or permeable to water. The free passage of moisture occurs in pores formed during and after placing. MNC-D forms an internal barrier against water transmission in mixes used for ready mixed or precast concrete. Higher quality concrete will result from the use of MNC-D. The workability of mixes will be improved especially in low cement content concrete mixes. The protection of embedded steel and resistance to bacteria or fungus growth may also be increased by keeping the concrete drier. 1. Reduces water penetration in mortar and concrete under hydraulic pressure. Increases concrete compactness, anti-crack and anti-seepage. The anti-seepage can reach P25, having the effect of shrinkage compensation and saving cement. 3. The concrete with this product does not reduce the strength, has no pollution to water, and no corrosion to steel. 4. It can be used for the interior water-repellent, instead of exterior surface treatment so that it provides continuous protection. 5. It extends the Expansion Joint Spacing, continuous pouring and grouting for 60 m without Expansion Joints. Thus, it reduces the working time. 6. Its cost is only one third of 2 layers of felt 3 coats of bitumastic. The amount of MNC-D necessary for a specific mix depends upon the degree of water repellency desired. Suggested addition rates for MNC-Dl in ready mixed or precast concrete are: 7% of Portland cement. Small plastic bag in Polywoven Bag with plastic liens.Net weight: 48kg+/-0.13 kg.